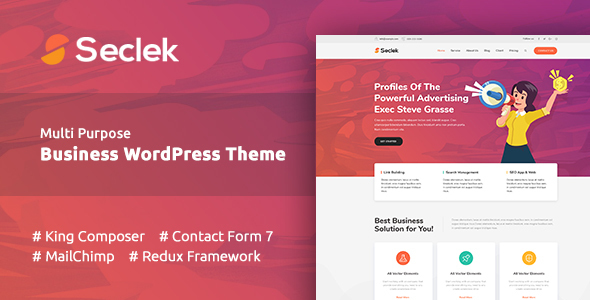 Seclek is a powerful responsive and parallax one page / Multipage multipurpose WordPress Theme. It is very clean, creative and elegant one-page theme. It can be used for corporate business, creative digital agent or even professional portfolios, agency, personal blog, or team showcase website.